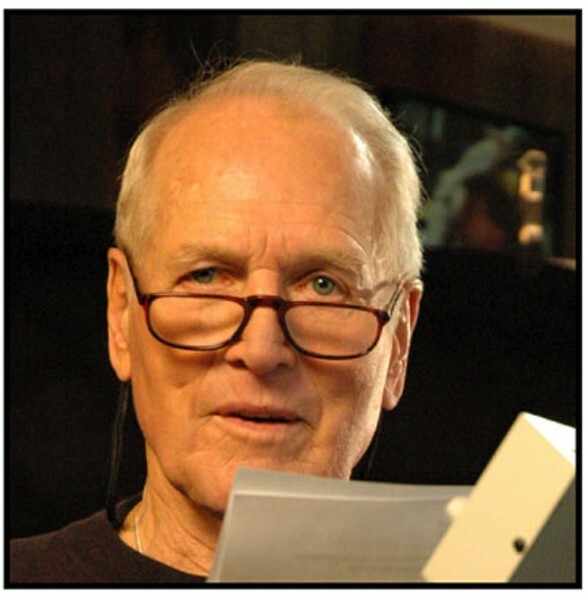 Paul Newman doesn't suffer fools -- or entertainment reporters -- lightly. 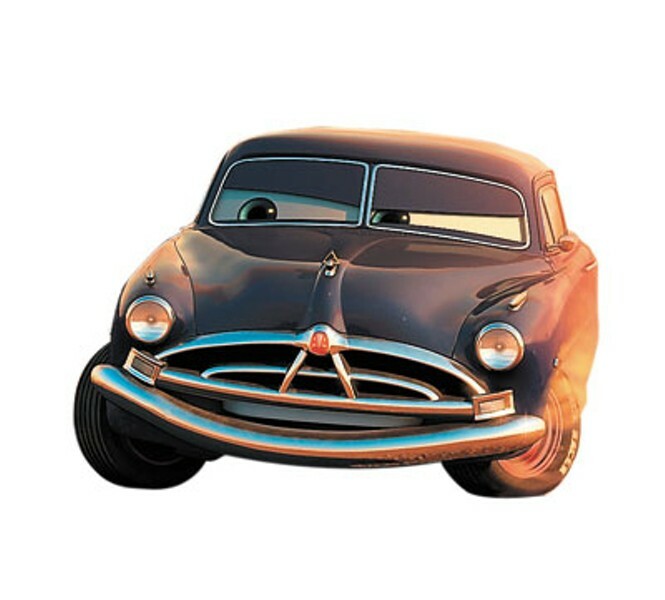 Was Cars a movie that you felt you wanted to do from the get-go, since it dealt with your passion for racing? I mainly did it because I knew it would be good, because it was from John Lasseter and Pixar. The fact that it was about racing was just a bonus. So exactly how did you go about preparing to play a car? The nice thing about animation is that you can detach yourself from all the physical stuff you normally work on as an actor and throw it away. So this was relatively easy. Given the theme of this film, do you have any road trip memory from your own life? Back in the 1950s, Joanne and I started a trip up north and drove to Las Vegas. And one casino there advertised all you can eat for a buck and a quarter. And the spreads were extraordinary -- fresh shrimp and lobsters, tables laid out like I'd never seen them before. We had a lovely meal, and then Joanne put 160 bucks in the slot machine and I myself lost about $400. So it was not really a buck and a quarter for all you could eat. You had been quoted as saying you were going to do one more movie. So is Cars the last one? Well, I don't seem to be living up to my timetable. I may have one more movie in me after this one. I'm not sure what's it going to be. [Robert] Redford and I have been working on something -- we've been working on a script very hard -- but it's by no means a slam dunk. Highest single honor I've ever received. As a died-in-the-wool activist, what's your take on the current political climate? You got 45 minutes? I think that's pretty much recorded in the polls. Most people don't think we're going in the right direction, and I agree with them. What would you say to someone who's interested in becoming an activist? Engage. If people who have the privilege of voting don't vote, then you have to ask if they're getting what they deserve. We have less of a percentage of people who voted than in Iraq; that's shameful. If people get engaged, they can make the changes. If they don't, then they just have a chauffeur up there motoring us where he wants to go instead of us giving the directions. You're a great actor, you've won racing awards, you've been married to the same wonderful woman for nearly 50 years now, and you're a damn handsome man. I'm hoping you have a flaw somewhere, to make the world balance out a bit. How about it? Ask my wife. (Pause, then with a smile.) Don't look under the carpet. Lot of murky stuff going on there. What do you think is the secret to a long marriage? There's a lot of baloney I could put out there for the record, but I haven't the slightest idea, nothing that would hold any water. Brokeback Mountain -- does that make you think of the relationship between Butch and Sundance in a whole new way? What's the greatest racing tip you've ever received, maybe from another driver? How about a personal motto that you live your life by? It's useless to put on the brakes when you're upside down. 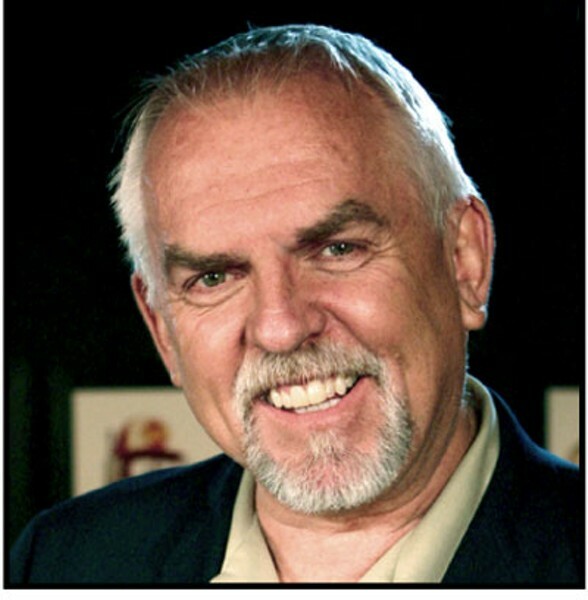 JOHN RATZENBERGER IS to Pixar guru John Lasseter what John Wayne was to John Ford and Toshiro Mifune to Akira Kurosawa. The former Cheers mainstay is the only actor whose voice has been used in every Pixar release to date. 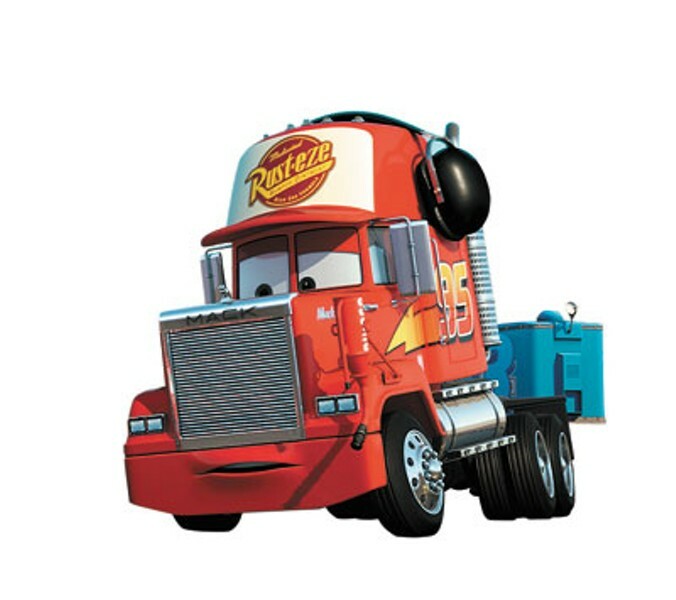 Best known in the studio's canon for his work as Hamm the piggy bank in the Toy Story films, his latest gig finds him providing the voice of Mack, Lightning McQueen's trusty transport truck. Do you take it for granted when Pixar has a new project that you're going to be landing a role? I never take anything for granted; I just realize how lucky and blessed I am that I get the call. But John [Lasseter] and I share a curiosity about the world and what goes on, so we actually talk a lot about things other than the work we're doing. When we first met on Toy Story, it was like being invited into a good friend's sandbox. What are your thoughts on your character? My father was a truck driver; John knew that. Halfway through the process, [producer] Darla Anderson asked, "What kind of a truck did your dad drive?" I said, "A Mack truck." They had already started talking to another company to make a deal, but they stopped and went right to Mack without me knowing it. Darla and John had decided to make it a Mack because my father drove a Mack. When you have people like that who care ... it means a lot to me, and I wish my dad were still around to see this. Since you're spending more time on your show [John Ratzenberger's Made In America, airing on the Travel Channel], does it take more to get you to accept an acting job? Ever since my kids were small -- one's in college now, one's about to go -- I only wanted to be involved in projects that I can sit there with them and not feel ashamed. For instance, [take a film where] the high school principal is the knucklehead and the wise-guy 16-year-old is the hero. Well, I know it's hard enough to raise kids without putting that message out there, that adult authority figures are stupid and only kids are smart. I just don't want to be part of that message, cuz the real world doesn't work like that. I don't want to sit there with my kids and be embarrassed by some gag that might be below the belt or some bodily function joke. You see it in a lot of animation and I don't know why. My theory is that the writers don't have kids, and they don't understand the impact that this makes. My oldest son learned his first swearword this way. He dropped the s-bomb when he was 5 years old. I said, "That's a new word for you. Where did you hear that?" And he said the name of a movie -- I won't say which movie, but it was a very popular kids' film. Have you heard anything about Toy Story 3? I was asked about it before Pixar became part of Disney -- or however that's working out -- but if Pixar's not involved, I'm not going to be involved. Dance with the one who brought you. 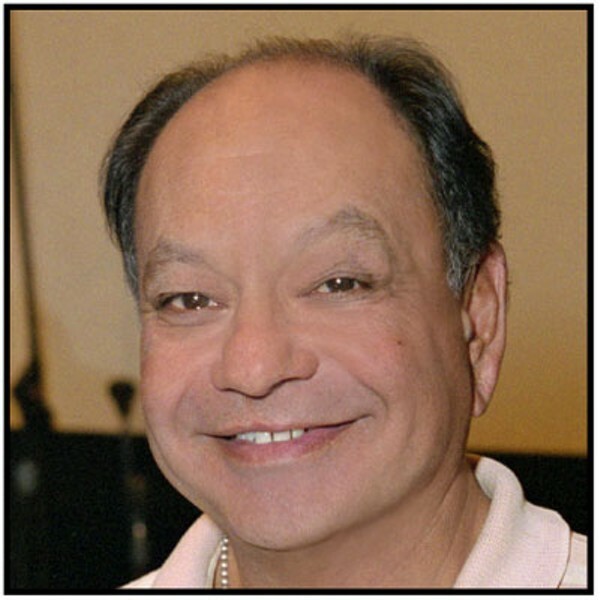 OLDER GENERATIONS KNOW Cheech Marin as half of the pothead team of Cheech & Chong, but kids have a different perception of him altogether. After the duo parted ways in 1985, Marin found sustained work as an actor on TV and in movies, with family films filling up a substantial chunk of his resume. Marin has provided voices in (among others) The Lion King, FernGully: The Last Rainforest and Oliver & Company and has appeared in the Spy Kids trilogy; he's also recorded a pair of children's albums. For Cars, Marin provides the voice of Ramone, a 1959 Impala low-rider. You've been cast in a few animated films over the years; were you a big cartoon fan growing up? Oh, yeah, totally. I loved cartoons. I was in the first generation that had TV. I once told my son, who's 21 now, "When I was a real little kid, we didn't have TV." And he said, "Yeah, I know, you were too poor." "No, it wasn't invented yet." And he looked at me like, "Wow, what was it like the first time you saw fire?" But cartoons were always on, and I was glued to them. I was almost encyclopedic about cartoons. Do you approach your animated roles differently than your live-action parts? For me, it's like sculpting with a chain saw. I don't think there's any top to go over -- I don't think you can get too big. Because you're competing with this idealized image that's gleaming and brash and in your face, and when you do a regular voice, it falls flat. You have to animate your performance as well. What's the status of another Cheech & Chong movie? DOA. We've tried to do it a bunch of times and we always end up at the same place -- all the old animosities resurface. But you know what? I'm real comfortable leaving Cheech & Chong right where it is. I was a big Laurel and Hardy fan as a kid -- I used to watch them on TV all the time -- and one time I saw a film they made when they were a lot older, and it creeped me out. So yeah, we'll leave Cheech & Chong right where it is. What's it like to have this second act in your career? It's great. That was always a point of conflict with Tommy and me. I wanted to keep moving and try other things and he wanted to stay with the same thing. So to truly invent myself in this other guise is a process of both stubbornness and luck. What's your take on the immigration issue? You know, it's the same bitching forever. We want cheap labor to come in and we want to persecute them at the same time. It sounds like my last marriage: "Yes, no, no, yes. Which one is it? I can deal with yes or no but not both at the same time!" But what's going to happen is that it's ultimately going to be very good for the country; we're bringing in a new source of labor and energy and insight. There's a saying in the Latino community: "We didn't cross the border; the border crossed us." What they're trying to do is impose artificial borders on the natural migratory patterns that have always been there. We just have to come up with a way to undo the hypocritical stance of persecution. So is the time right for an updated Born In East LA? I don't know what I would say new that I didn't say then. It's the same issue. People should just rent the movie twice as much.